"From the best VPNs on the market "
Safety at work is an invaluable premise, as I have to handle confidential legal documents of the company where I work on a daily basis. It is for this reason that we use ibVPN, a VPN of great performance that allows us to have the greatest security since we can hide our IP addresses when sending documents to our supervisors and thus avoid being tracked or hacked. We also have an application for android that increases security in emails linked to our phones, which sometimes we must use with a public network (wifi) being more susceptible to external attacks. It's quite easy to use, and that's important, since all my colleagues in my office use it. It has an excellent support service 24 hours a day, ideal for solving any problems with the use of the software. It seems to me that 24 hours of free trial is too little to evaluate all the potentialities of this software. Right now my work team submitted a proposal to our managers to purchase the software and use it much more because we think it is very good and quite safe. Software that I recommend to those companies that need to maintain high security standards without losing their productivity and performance. This VPN is one of the most complete I have tested in the market and we hope to soon have it premium in our company. "The best VPN out there"
One of the best VPN to protect your connection and IP address from bad people. All of our team uses VPN from ibVPN to get protected against this people. It isnt expensive and it is very fast and has servers all around the globe to give better service to people. If you need to protect all of your networks IT stuff you should buy ibVPN software. If you need to change location to access a location restricted site you also should use it, or if you want to hide your IP address against DDoS attacks also. 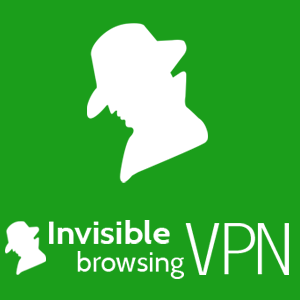 "Protect your privacy with ibVPN"
- can watch live sport telecasts dedicated to specific countries. They offer 24hrs unlimited bandwidth trials, it’s worth paying for ibVPN. I can access all the website without any restrictions, it’s great when I travel internationally. It' easy to find browser extension, setup and use is really straightforward, I used free tier for some time and found it's a good privacy solution. Corporate policy may block this VPN and there's nothing you can do about it. Online privacy and anonymity is easy to achieve. * We monitor all ibVPN Service reviews to prevent fraudulent reviews and keep review quality high. We do not post reviews by company employees or direct competitors. Validated reviews require the user to submit a screenshot of the product containing their user ID, in order to verify a user is an actual user of the product. Hi there! Are you looking to implement a solution like ibVPN Service?